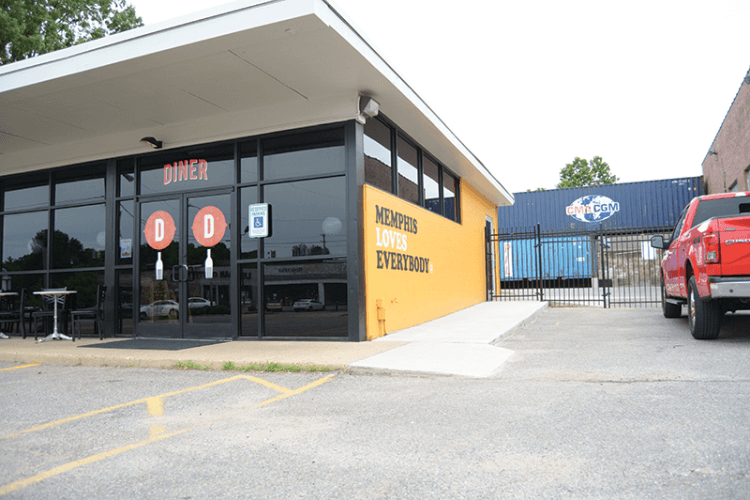 Two high school friends, John Planchon and Taylor Berger, had a dream to open up a place that would bring the Memphis community together. This is what brought us Railgarten. They had previously opened up two other successful venues, Rec Room and Loflin Yard. However, Railgarten has been their most demanding project thus far. 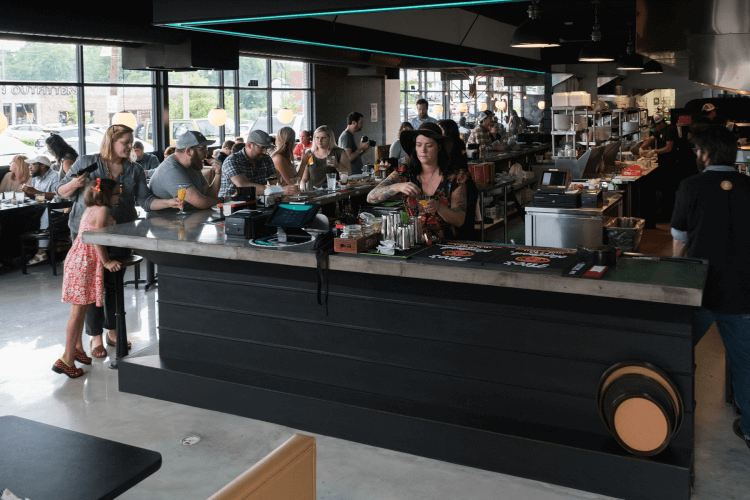 Set on two and a half acres of land in the middle of Midtown, Railgarten has become a family friendly hang out place for all ages. A few of the many activities include a large, indoor ping-pong bar, beach volleyball, an outdoor stage for concerts, a playground, and four different buildings for food and drinks. As Taylor Berger says, “You can come with the intent of playing a game of ping-pong, but then you might end up seeing a band you have never heard before, having an ice-cream float, eating some really good food, playing on the playground, and playing volleyball. I mean you never really know what you’ll do next as you stumble through the property.” Planchon and Berger’s vision of Railgarten could not be achieved alone. They brought together a team of designers, lawyers, bankers, and contractors. Their inspiration was to make your visit feel like you are on vacation while still in Memphis and to make you want to come and stay—for several hours. Four different buildings on the same property was an engineering struggle, but it adds to its uniqueness. The buildings include a Tiki Bar, Ping-Pong Bar, Diner, and Ice-Cream shop. They decided to decorate their property with Memphis memorabilia. 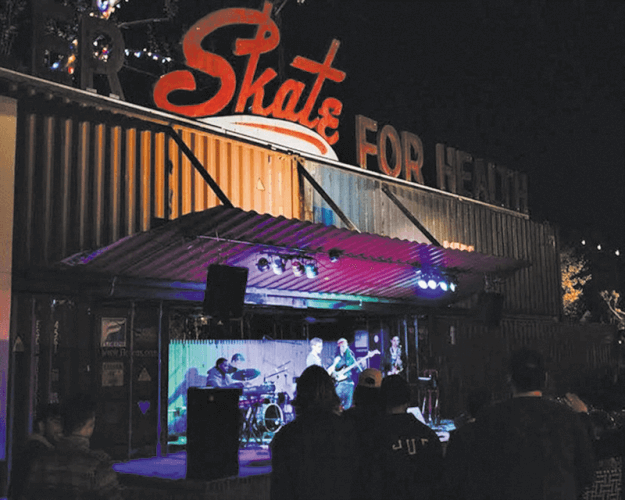 For example, as you walk through Railgarten, you can see children playing in an old Army truck and admire the skating sign that once adorned the old rink on Summer Avenue. Railgarten opened only a year ago, and Planchon and Berger are beyond thankful for the support they have gotten from the Memphis community. They cannot wait for the years to come. 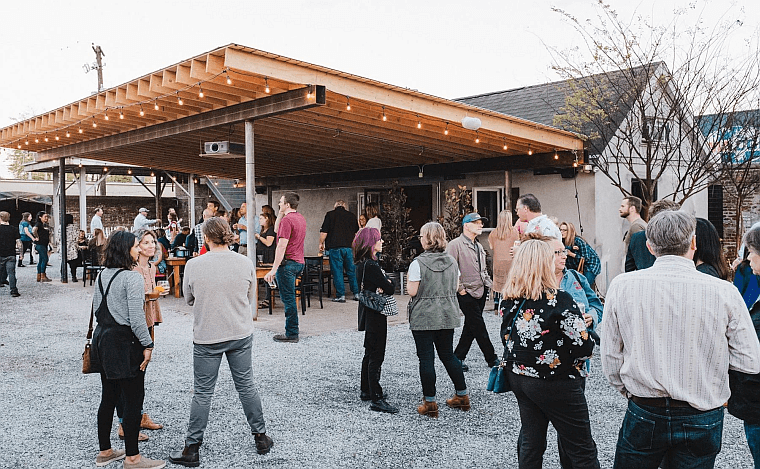 So as spring approaches, make sure to make Railgarten one of your stops! There is plenty to do, plenty to see, and plenty to eat and drink. Go and stay for a while. They’ll make you feel welcome.